We understand the issues that can come from a corroded or damaged pipe. That’s why we offer trenchless pipe lining. Here at NuFlow St. Louis, we have the tools and equipment to restore your pipes with non-invasive methods that are easy to employ and affordable. Our trenchless pipe lining services replace the process of replacing an entire pipeline because it serves as a no-dig solution that reinforces the pipeline and ensures that the pipe surrounding the lining provides added protection. The most practical applications for trenchless pipe lining include fixing tree root intrusions, corrosions, and clogged drains. 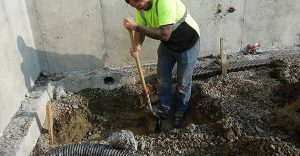 Traditional repairs or replacements for pipes require heavy excavation, including destroying landscaping and potentially removing obstacles like driveways or patios. Some excavations, in the cases of sewer repair or replacement, can even mean going into city streets, which requires the rerouting of traffic in that area. These laborious processes come with a hefty fine, and many cities require payment for rerouted traffic and the repair of streets as well as licensing and certification to allow excavation equipment on your property. At NuFlow St. Louis, our trenchless pipe lining services completely bypass these inconveniences, requiring only two small access points, and those are usually already installed on the property. Not only that, but our trenchless pipe lining work can take as little as a day to finish, unlike traditional repairs that can take upwards of five days to be completed. With our technology, you don’t have to worry about constant repairs because our lining is long-lasting and can withstand leaks, clogs, and other hazards that typical pipe materials can’t endure. Here at NuFlow St. Louis, we also offer services that contribute to keeping your pipes healthy, including pipe cleaning and inspection. These procedures allow you to know what’s going on inside your pipes that caused the repair to be necessary in the first place. Founded in 1998, our team at NuFlow St. Louis has been working hard to employ the latest pipeline technologies to easily remedy customer problems since 2012. We strive to create meaningful relationships with our customers, making it easier and faster for you to get the repairs you need to have done with quiet and quick efficiency. Our team is collected and has the single goal of serving all of our customers in the best way possible. Ever since trenchless technologies were developed fifteen years ago, we’ve understood that the trenchless path is the right path. We believe in saving time, money, and energy, both for our technicians and you. We’re intent on making sure that you’re satisfied completely with our services and offer inspections and cleaning services to keep your pipes clean and healthy. We understand that pipeline systems serve as the roof for most homes and businesses, and we work in commercial, industrial, and residential communities, including Town and Country, in order to ensure that we can help as many prospective customers as possible. Here at NuFlow St. Louis, no job is too big or too challenging, and we’re never going to turn away from a customer in need. If you require our trenchless pipe lining services, call us today for excellent services that you won’t regret.